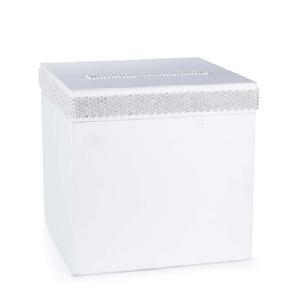 31116 - White satin card box with white satin ribbon and faux rhinestone adornments. Slotted lid opens for retrieving cards. 10" x 10" x 10". © 2016 Elan Wedding Consultants Inc.